It's been a while since I have written anything that pertains to either a current event, or something that our politicians have got up to, but that probably has something to do with there not being all that much of interest happening. That is since the Trumpet was 'unexpectedly' elected as the President of the United States, and has been stumbling from one blunder to another while cycling through staff faster that I cycle through my clothes. However, even though the machinations of the Trumpet make some groan with bemusement, others laugh with disbelief, or cringe with horror, it is more of what is going on here in Australia that has caught my attention of late. However, before I go on I probably should at least acknowledge the Bible verse that I opened with. The thing is that the Bible commands Christians to respect their governments, elected or otherwise, as they have been appointed by God. While this is one verse that is regularly trotted out when a Christian friendly government is in power, it seems to be conveniently ignored when dealing with a government that is not seen as being particularly Christian (at least by certain segments of Christian society). Mind you, I probably should make it clear that I'm not a particularly big fan of the various institutions that have come about these days, especially since in many cases they seem to be little more than a joke. In fact, the only conservative Government currently in power in the Anglosphere that seems to actually have their heads screwed on properly are the English, and even then they had made some incredibly stupid decisions over the last couple of years (well, okay, there is also the Kiwis). No, that isn't a typo - there is actually no requirement whatsoever to be an elected representative. Okay, to be elected on the platform of one of the parties you probably do need something, but in the end, while you need to be a person of good character, and probably have some background experience, the ultimate skill you need to be pre-selected is the ability to network, (that is making) the right friends). In fact Bob Hawke and John Howard were right to bemoan the lack of experience that our career politicians have today - who have basically gone straight out of university politics into a politician's office without any experience in the real world. I probably should mention that being of good character only applies to being elected on a platform for one of the political parties - in Australia at least it doesn't matter how long your criminal record is, as long as you aren't in gaol, you are eligible to be elected to parliament. Mind you, good luck keeping it hidden because you can be assured that your opponents will make it known as soon as they become aware that you have been a very naughty boy (or girl). Even then, the power of celebrity does have the ability to be able to over come these objections. The Australian Constitution governs the eligibility of who can be elected to parliament, and while I could make mention on this being a legal matter and me not being a lawyer, that would be incorrect because even though I am technically not a lawyer (or a practicing one at least), I do have a law degree, and I did study Constitutional law. Mind you, Constitutional Law was probably one of the hardest subjects that I took, and it was compulsory. Also, it is one of those areas of law that tends to be pretty specific, and quite narrow - the only court that hears constitutional law cases is the High Court of Australia, which happens to be the highest court in the land. I was going to jump straight into the legalese, but I then realised that many of you probably won't have any idea as to what I am talking about. Basically, Section 44 sets out, in a round-a-bout way, the things that prevent you from being a member of parliament (and the only crime that carte blanche makes you ineligible is treason). One of them is being the subject or citizen of a foreign power. Ironically, if you type 'section 44' into Google here in Australia you suddenly get a list of news stories relating to this constitutional farce. 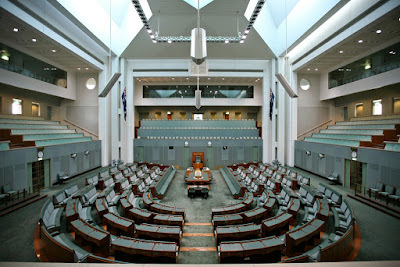 So, a few weeks ago there was an announcement by one of the Greens Senators - Scott Ludlum, that it turns out that he is a citizen of New Zealand as well as being a citizen of Australia and as such was ineligible to sit in parliament, so he resigned. He was immediately followed by another Greens senator, Larissa Waters. Well, with two Greens Senators resigning nobody was really all that worried, particularly since when a senator resigns, the party to which that senator belonged simply picks the next candidate in line. However, things started going pair shaped when suddenly we had a member of cabinet, Matt Canavan, announcing that he is also a citizen of another country and as such also potentially ineligible (though, not surprisingly, the rules for the members of the government were somewhat different, or interpreted differently, than the rules for everybody else). Well, since he was a senator, that didn't pose a problem, but the next character did. 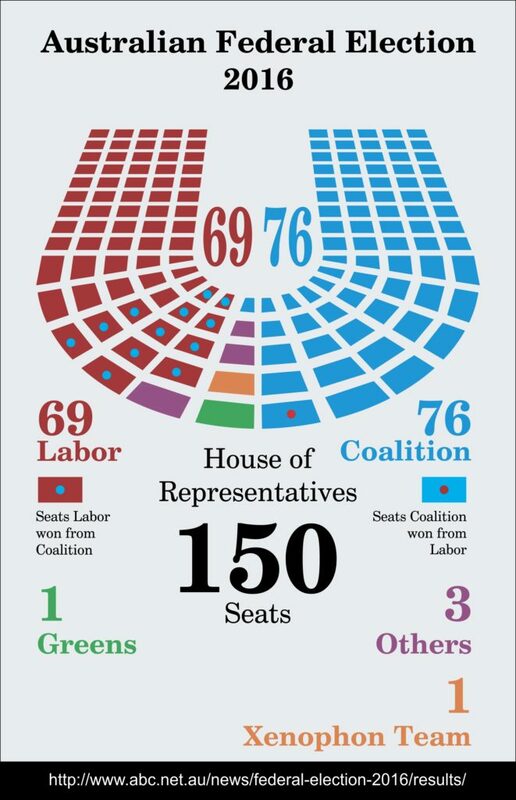 You see, the ruling conservative party in Australia (the Coalition of the Liberals and Nationals) holds onto power by a one seat majority. Suddenly, one of the lower house MPs reveals that he may be ineligible due to a possible connection with New Zealand. New Zealand pretty quickly confirmed he was actually a dual citizen (though why they kept quiet until then is beyond me). That would have been all well and good, except that this particular fellow, Barnaby Joyce, happens to be deputy prime minister. Anyway, a full list can be found here. Needless to say that the farce continued with members of the government crying foul, and claiming that the opposition Labor party are actually traitors who were encouraging a foreign government to bring down the lawfully elected government of Australia. Well, that might just be true, but the whole thought of New Zealand being seen as a foreign power is just plain ludicrous, since there there are very few, if any, other countries in the world that have a closer relationship than does Australia with New Zealand. Yet, despite the fact that we could almost be considered a single nation, the reality is that we are two separate countries, and if what Julie Bishop said is true, then she is actually right. This isn't the first time that this problem has arisen, but it is rather surprising that it has come out of the wood work all at once. Okay, I suspect that there has been some rather sloppy housekeeping in relation to some of our elected officials, and the way that this government is going, shooting their mouths off, making knee jerk reactions, and generally being sloppy and untidy seems to be the norm these days. However it is interesting that it was actually the Greens that were the first to come to light. Except that it isn't. I remember when I studied politics in year 12, my teacher told us that the two major parties basically hate independents and minor parties. The thing is that they believe that an ordered parliament is one that has a clear cut opposition and government. The problem with independents and minor parties is that they don't tend to vote the way that either party wants them to vote. The other thing is that in order to get legislation through they have to negotiate, and that involves work, and one thing politicians don't seem to like doing is working. So, they look for ways of trying to even the score. I remember being told about a independent named Phil Cleary who was elected to parliament in 1992. However he was disqualified on the grounds that he was on unpaid leave from his job as a teacher at a government school, another aspect that makes you ineligible. The catch was that when the major parties referred him to the High Court, the judges decided to look at the candidates of the major parties as well, and it became clear that they were also ineligible due to them being dual citizens. The particular part we are looking at is part (i), and it can be quite deceitful in a way. The problem with dual citizenship is that you may not actually realise that you have it. This was the case with Barnaby Joyce, who was born in Australia, and the only reason he was a citizen of New Zealand was because one of his parents was a citizen. Yet, the odd thing is that back when the Constitution was written, and for a time afterwards, he would have been eligible since New Zealand is not only a member of the Commonwealth, but part of the British Empire. Furthermore, Ludlam and Waters would have also been eligible (though Americans wouldn't've because American was not part of the empire). This is why there has been calls for change, if not to the constitution, at least to the interpretation of it. Back when it was written, it was basically being subject to a foreign, non-British power, such as France or Germany. These days that is technically irrelevant. Okay, I would probably want the leaders of Australians to be, at least, citizens of Australia, and if they weren't born here, then of course I would like to see them renounce their former ties. The thing is that by acknowledging that these mistakes are going to be made, particularly in the case of Nick Xenopohon, who is a 'British overseas subject', it makes a lot of sense since his position has no weighting whatsoever in Britain. He can't hold a British passport, and he definitely cannot work there - well, he can, but he needs to obtain permission. The problem with changing the constitution is that it is really, really hard to do, though when it comes to interpretation, all it needs is a couple of willing judges. Of course, these isn't the only act in this three ringed circus, particular since while all this was going on a woman wearing a full face cover burka walked into the senate chamber as sat in the chair normally reversed for Pauline Hanson. Well, actually, it turned out to be Pauline Hanson, who then proceeded to earn the ire of the rest of the chamber. Mind you, she's sort of that type of person because she tends to be ultra conservative. 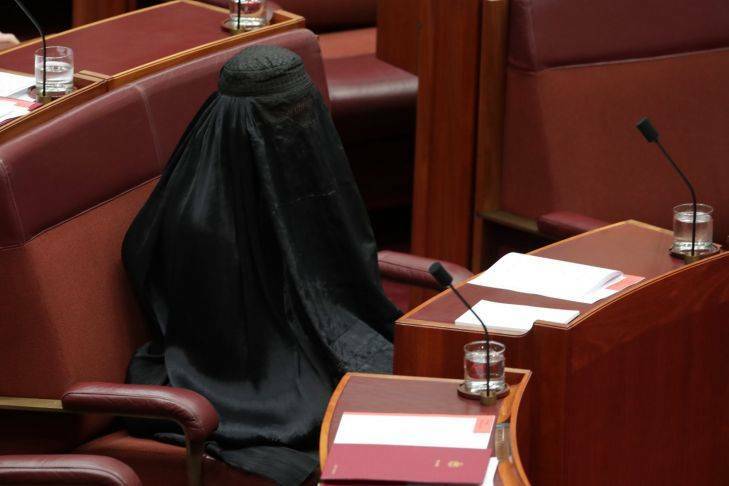 Back in 1996 she was elected to parliament and started sprouting out how the Asians were going to take over Australia. The major parties then basically ganged up on her and made sure that she lost the next election. For the next so many years pretty every election you could expect to see (or hear of) her running, and sure enough the perseverance paid off. With the huge swings against the coalition in 2016, we suddenly discovered that not just her, but a number of her colleagues, were also elected. Mind you, things had changed in the ensuring twenty years, and all of the sudden we find the Coalition suggesting that maybe it is time to start working with her. 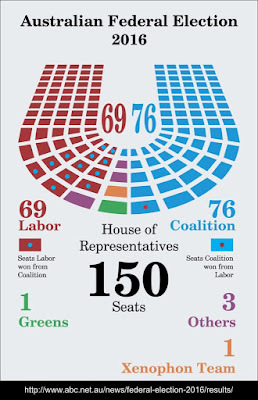 Then again the Coalition is pretty much being controlled by the conservative rump, which is one of the reasons this parliament seems to be just one, whopping, great big farce. Interesting to learn of the significant differences in the Australian system. I had no idea dual citizenship was that much of an issue. Here in the US, we have a different "controversy," naturally. For members of Congress (House or Senate), the requirement is to be a US Citizen, and a resident of the state in which elected. No mention of dual citizenship, and I suspect we have at least a couple of dual US/Mexican citizens these days. It is this one that has gotten controversial, for circus-related reasons, to use your excellent description. There is a legitimate question (which has never been formally resolved) as to what exactly "natural born" means. Some assert that means "born on literal US soil" while others mean - and this has more support from the legal community - someone who is eligible for citizenship at their birth. This would include those like my own parents who were born overseas to US citizens. Anyway, enjoyed the legal stuff and this post in general. Thankyou for your comment. I've heard of the birther movement and agree that it was basically a lot of hot air. I do wonder if Obama would have had the same problems if his parents were native born American, but I suspect they would have found some other excuse. We had a similar thing with our previous Prime Minister Tony Abbott. He was what was called a 10 pound pom - that is an English person who came out to Australia in the early fifties for the low price of 10 pounds. He actually renounced his British citizenship before he entered parlaiment back in the 90s, and even had the paper to prove it, but that was conveniently neglected by those who were trying to get rid of him. I'm surprised that there isn't a dual citizenship clause for members of Congress. Obama's mother was a native born American (so he would have been eligible for citizenship at birth, even if born overseas) - it's his dad that was a foreign national. If dad had been white, I suspect we would never have had the discussion. I suspect the lack of a dual citizenship clause is because our Constitution was written in 1789. I'm not sure if the concept of dual citizenship even existed back then. You either were one or the other. I haven't really researched it, but I kind of suspect dual citizenship became a thing when nations (such as Mexico) started restricting property ownership by foreign nationals. (FWIW, the US does not restrict ownership. You could buy a vacation home here if you wanted.) Once Mexico started prohibiting rich foreigners from (officially) owning property, suddenly there was a reason to retain Mexican citizenship after naturalizing in the US. I imagine if we were to rewrite our Constitution now, there probably would be some sort of a clause, but amending our Constitution is extremely difficult (by design) so getting together enough of a political coalition to make it happen first at the Federal and then at the State level would be a huge task. For whatever reason, the issue hasn't arisen - and if it did now, I could see difficulty in getting the liberal-leaning states on board.